What do you get when you combine John Appleyard with an 1880s-era home on Zaragoza? The A to Z of Pensacola history, so to speak. 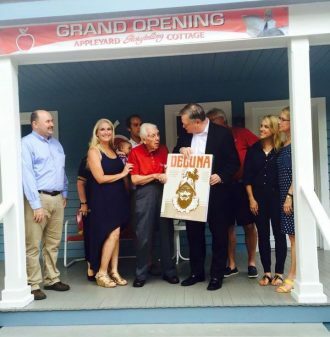 Located in the historic McMillan House, the Appleyard Storytelling Cottage is a place where the greatest tales in Pensacola’s rich 450-year history are brought to life by John Appleyard, our city’s foremost historian and storyteller. 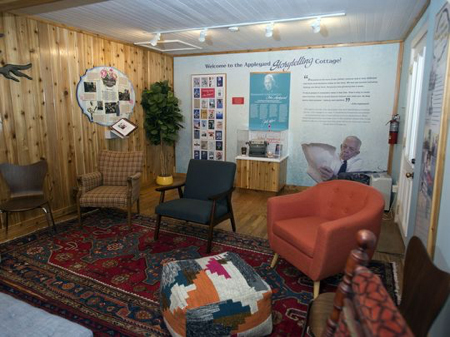 The Cottage features many of Mr. Appleyard’s 200+ historical books and mysteries, and the folks at Cox Communications taped him telling dozens of stories. Visitors can peruse a list of more than 50 titles, get settled in and watch Pensacola’s premier storyteller strut his stuff in 15- to 90-minute episodes about the people, places and things that have made our unique city what it is today. 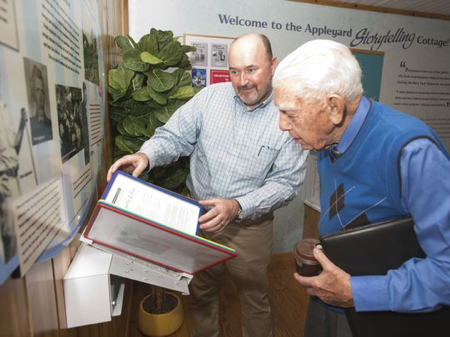 Mr. Appleyard (or Mr. A, as we fondly call him) and his wife, Eleanor, founded our Agency in 1959, and I doubt you could find many Appleyard employees, past or present, who have not gotten caught up in his wonderful stories. He knows seemingly everything about Pensacola, from 1559 when Don Tristán de Luna first landed here to the present day. He can give you chapter and verse on practically any downtown address, from the name of the original architect, through every business that’s occupied the site, to any calamities, such as fire, that may have interrupted operations along the way. And now, you can experience Mr. A’s amazing storytelling for yourself, live and in person. 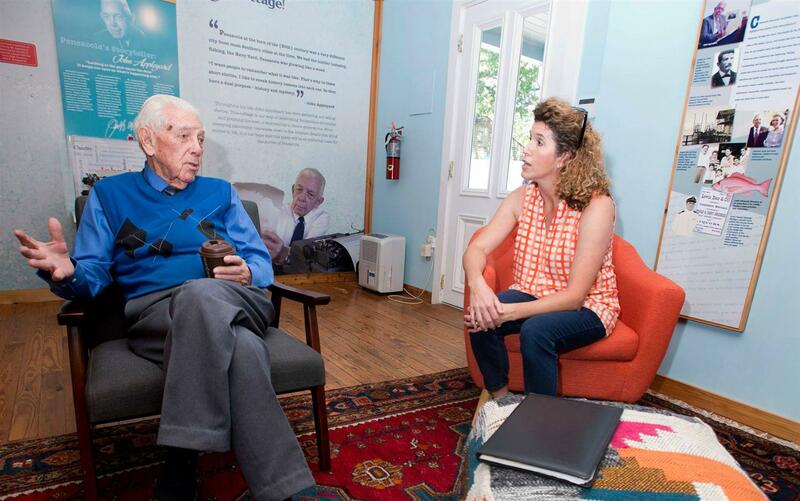 He’ll be regaling visitors with tales of Pensacola’s extraordinary history on these select dates in July: Wednesday, July 27 • 3:00 p.m.
Saturday, July 30 • 10:30 a.m.
Hi John, this is David Reinhardt Holm. My dad was Raymond Reinhardt Holm. I’m sure you remember him and his friends and colleagues. I have a scanned and enhanced copy of a photograph of a sketch of the Psycodellic Six in Session. I recognize Reinhardt Holm, Bob Ellis, Harvey Cotton, and Peet Geeker. Two others I don’t remember. I would you to see this an give you a copy. I thought I might catch you at the Story Telling Cottage but haven’t yet. Hello, Mr. Holm. Your note has been forwarded. Thank you for your comment.